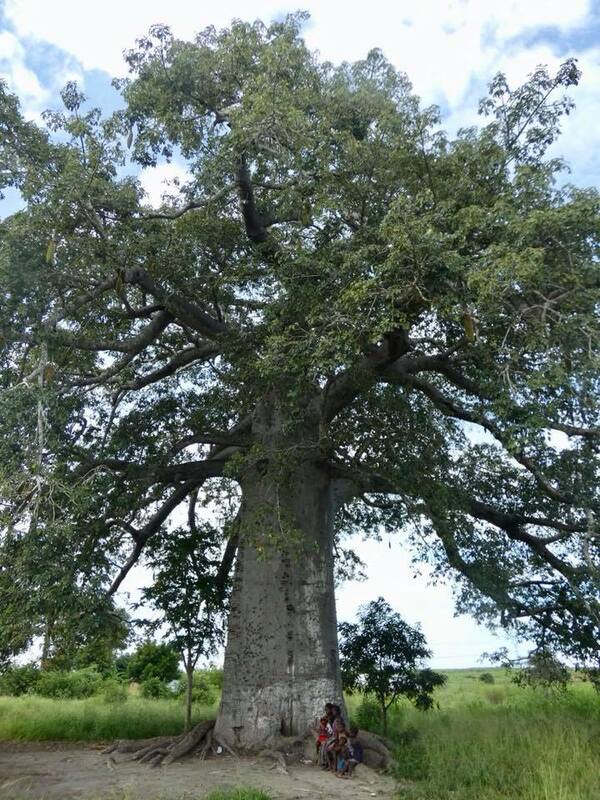 Angola’s landscape in the province of Cuanza Norte (and many others in the north) are dotted with massive baobabs. 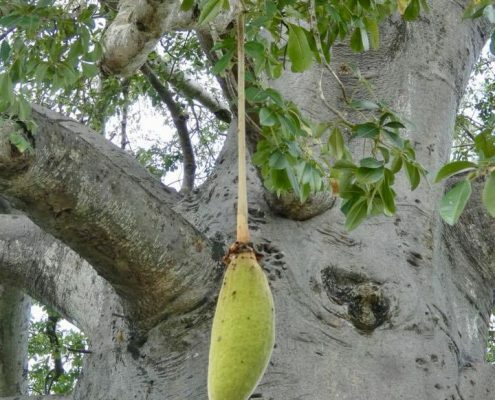 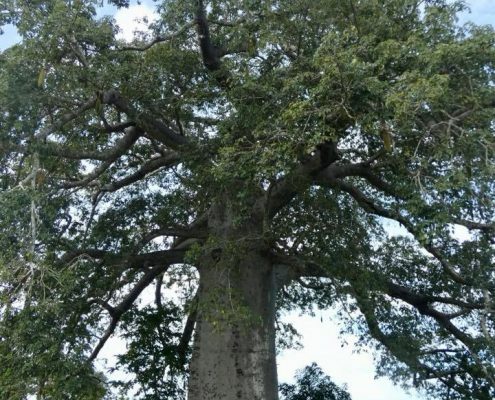 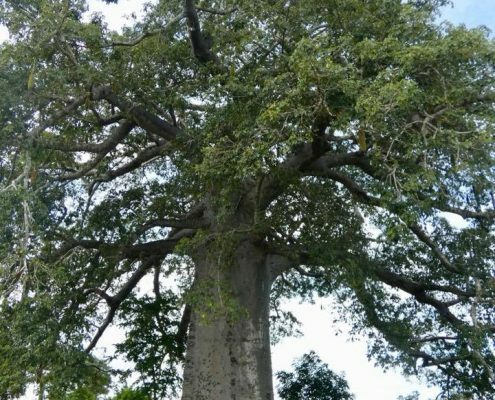 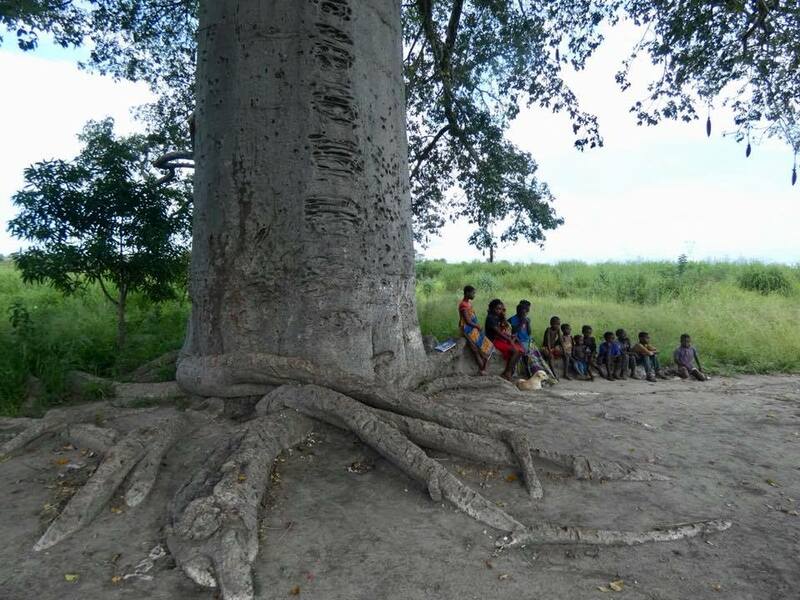 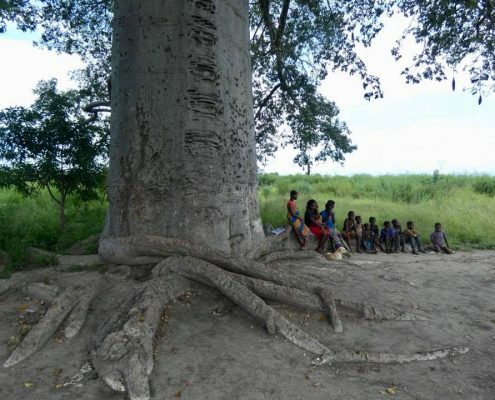 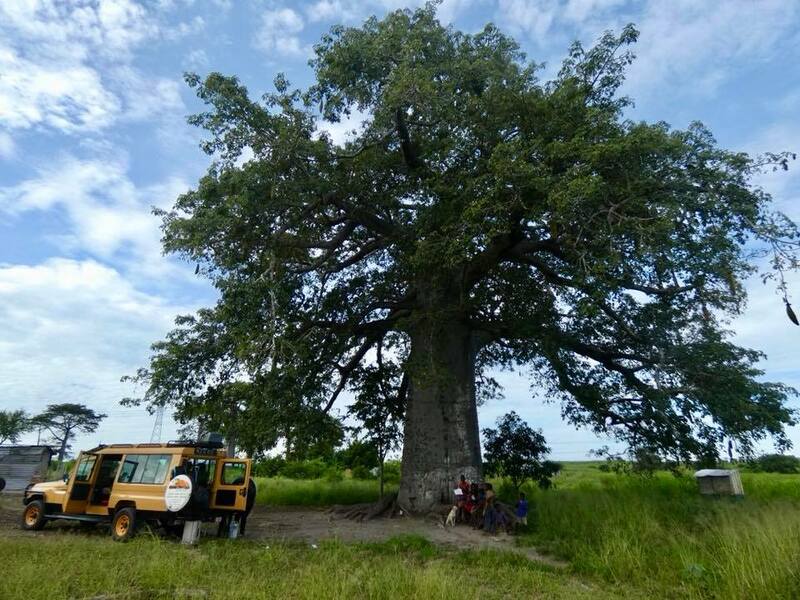 While deforestation is sometimes severe as wood is the main source of fuel here (despite Angola’s oil riches), baobabs remain standing as their wood doesn’t burn well and it’s porous nature makes it useless as a building material. 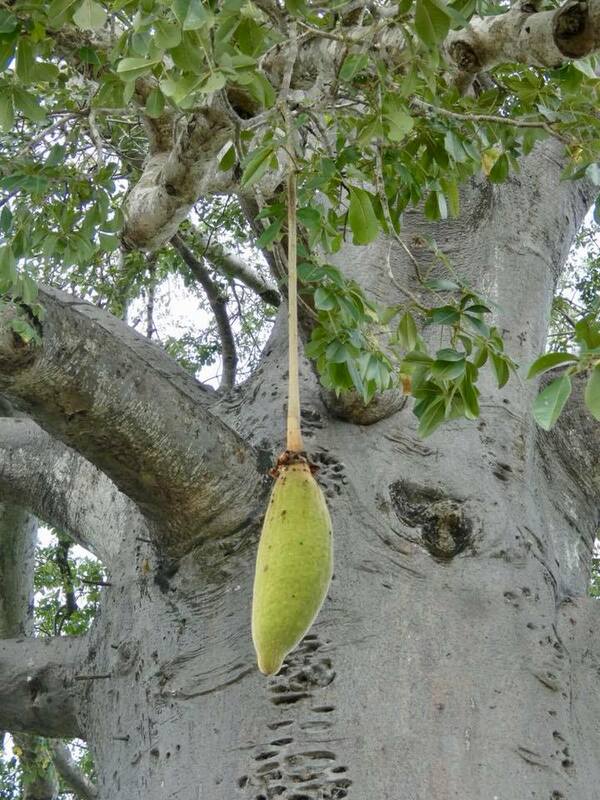 But it provides a lot of shade and its fruits provide food. 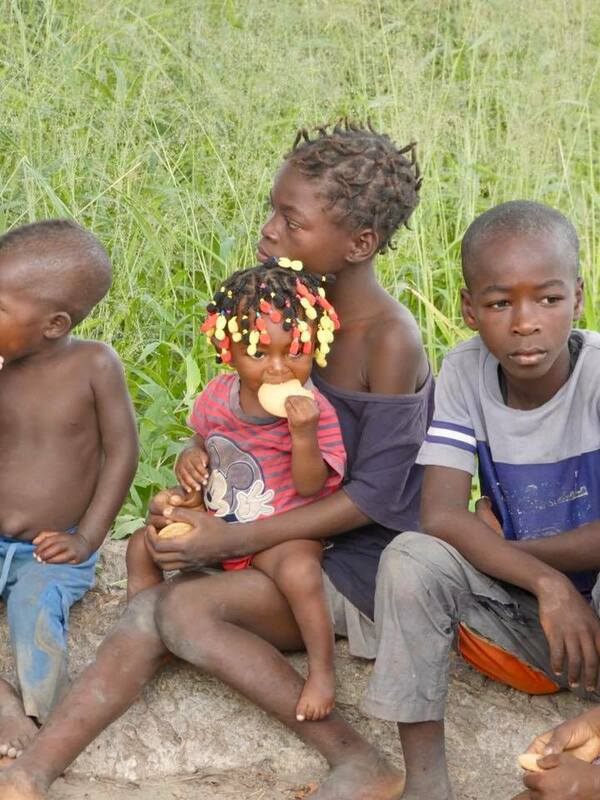 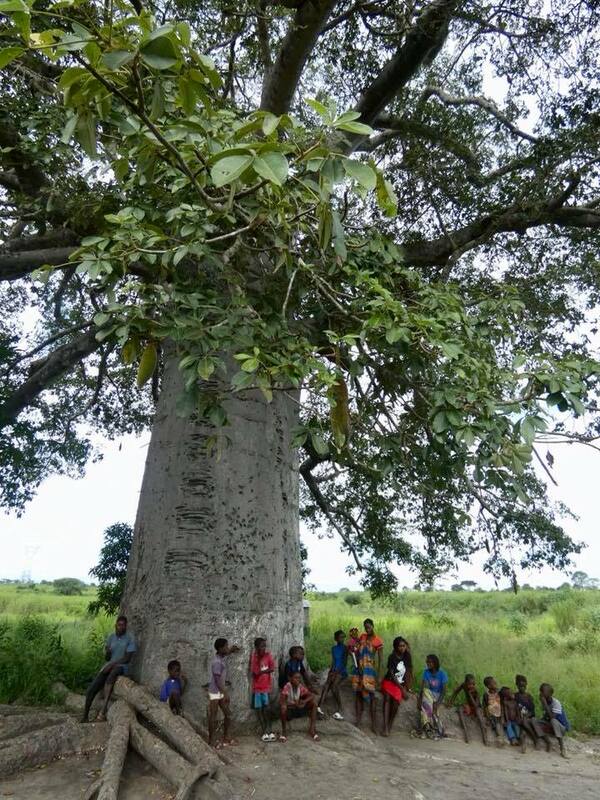 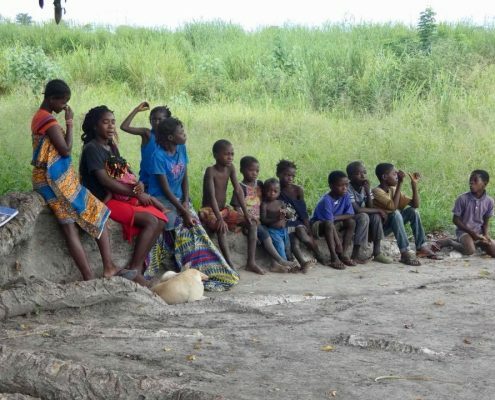 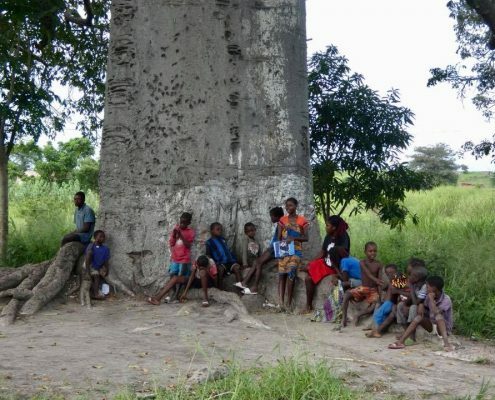 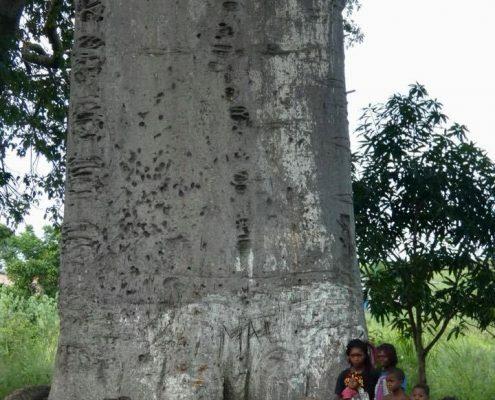 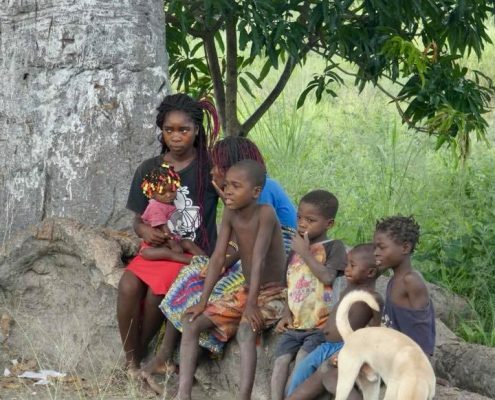 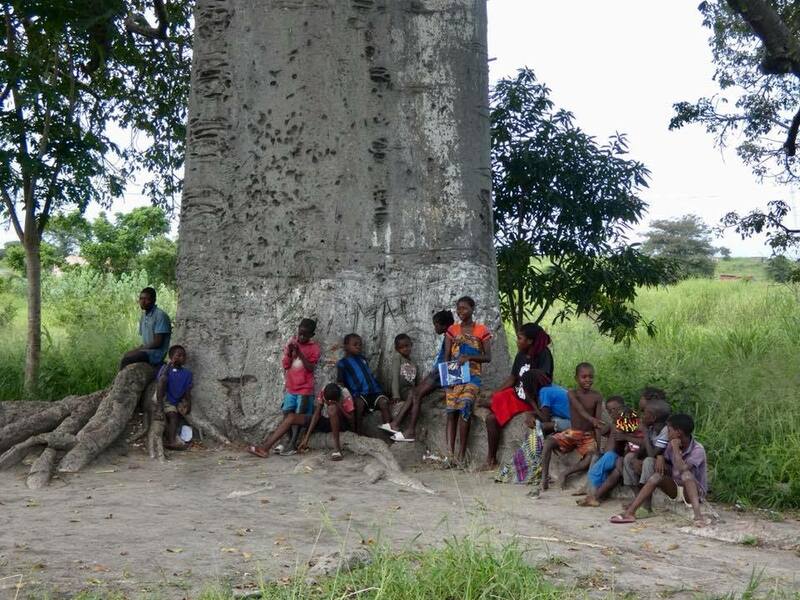 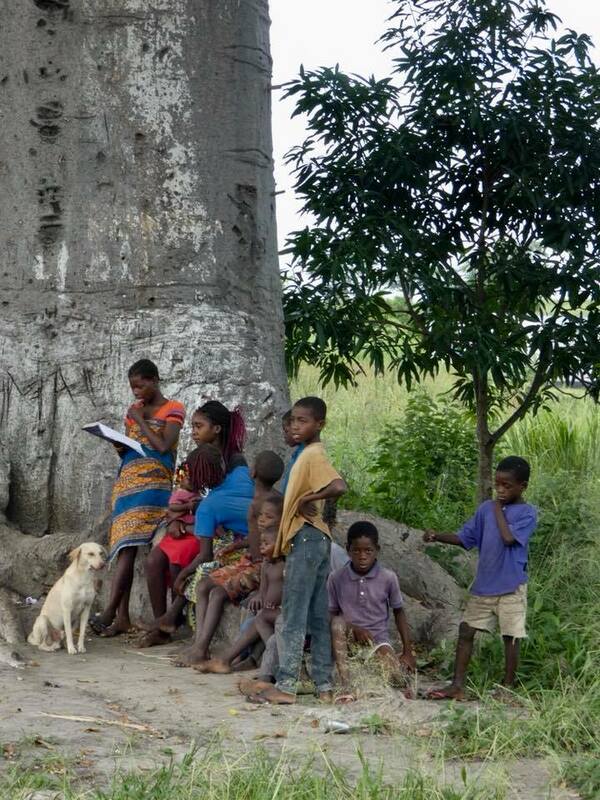 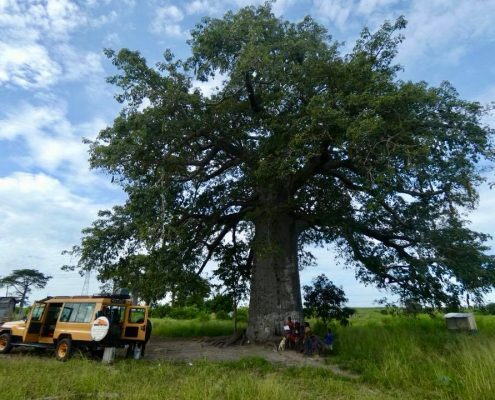 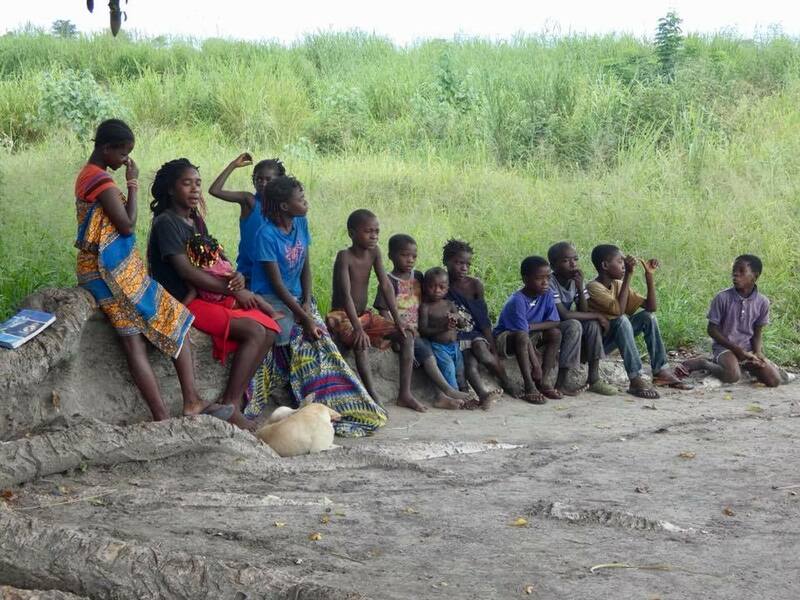 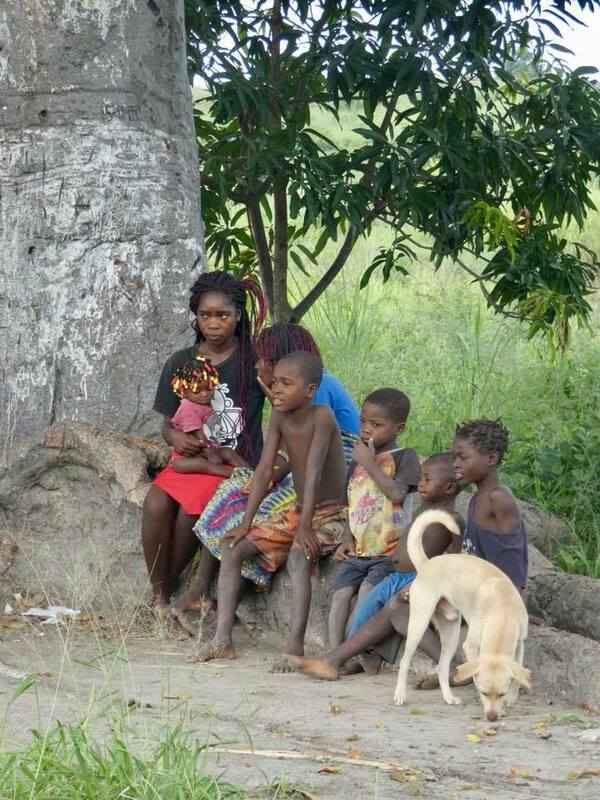 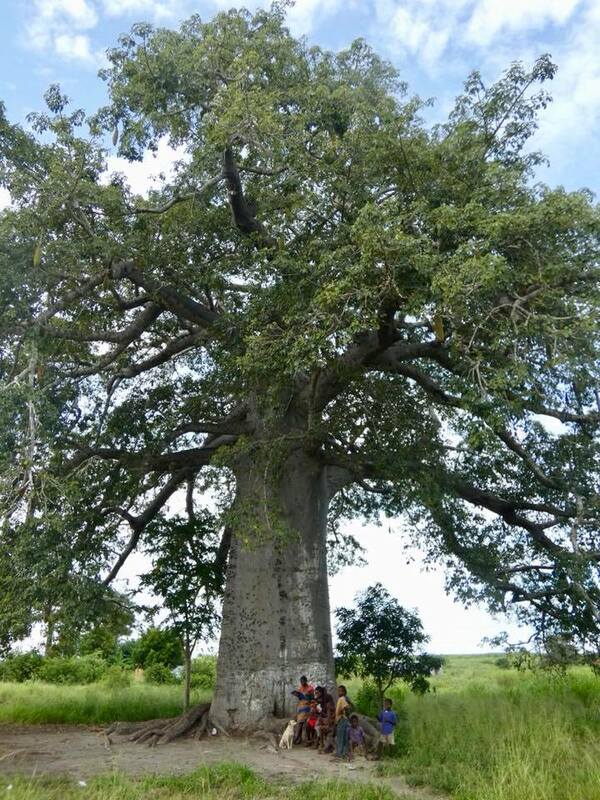 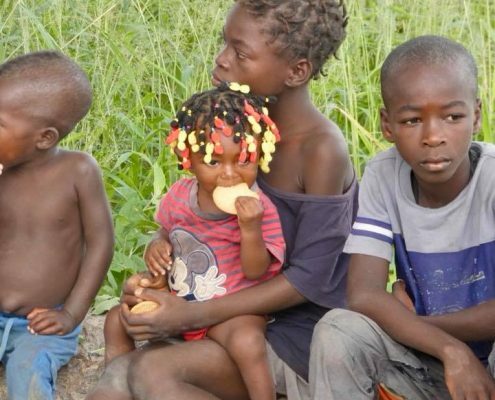 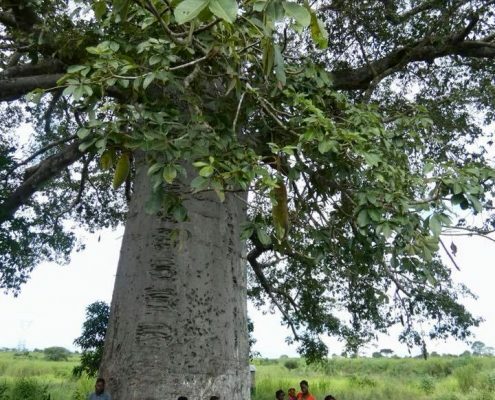 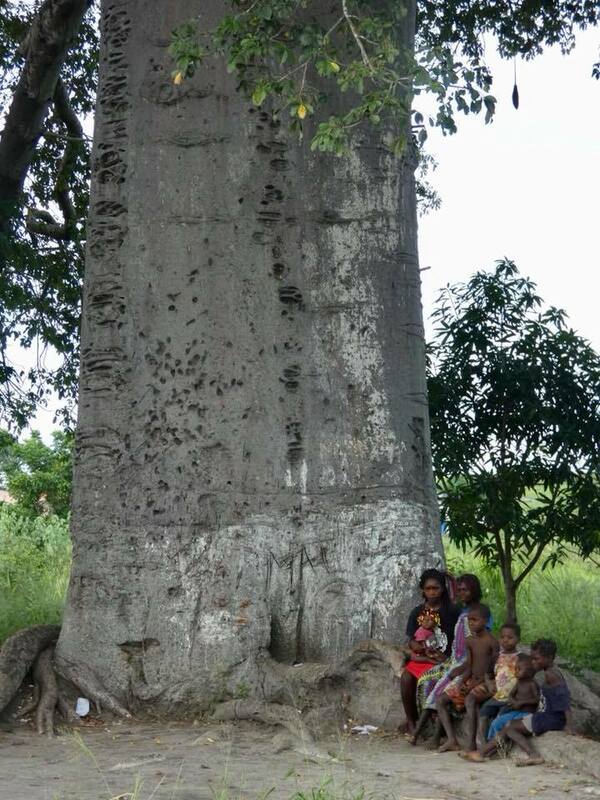 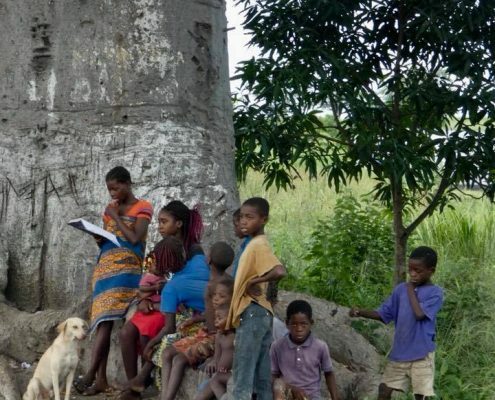 On a brief stop during the road journey east from Luanda, we stopped under a massive baobab, and a local family of seemingly limitless amount of children gathered underneath it waiting for handovers.